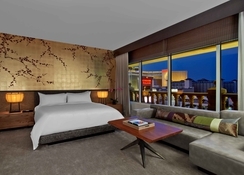 CNN's "Hottest New Hotel of 2013", the luxury Nobu Hotel Caesars Palace has been crafted by Robert DeNiro and Chef Nobu and sits at the epicenter of Las Vegas' entertainment heart. For the best night's sleep, enjoy the ultra luxury pillow-top bed dressed with exclusive Filo Doro linens with down duvet and pillows. 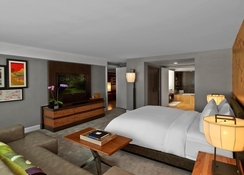 The hotel also features Inspirational Nobu room service, priority Nobu Restaurant reservations, Celebrity known Natura Bisse designer toiletries and wide range of VIP access and amenities. Experience the ultimate relaxation with an in-room spa treatment or visit the heavenly Qua Baths & Spa. This hotel enjoys an exciting setting in Las Vegas. 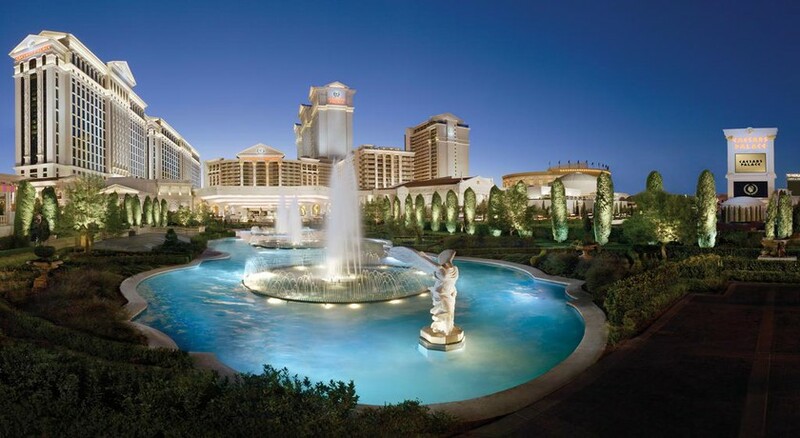 The hotel is set at the heart of Caesars Palace, surrounded by ample opportunities for excitement and discovery. A seemingly boundless range of attractions can be found nearby. Guests will find themselves surrounded by shops, restaurants, casinos and entertainment venues. This wonderful hotel exudes luxury and sophistication. The guest rooms enjoy a unique sense of style, with lavish furnishings and modern conveniences. Featuring a range of exemplary facilities and services, this hotel delivers the utmost in comfort and convenience, complemented by impeccable attention to detail and warm hospitality. This 350-square-foot room has one king-sized bed dressed with luxurious Filo Doro linens, a down duvet and pillows. Among the room's amenities are a 55-inch high-definition television. Guests will enjoy Nobu Hotel's signature hot tea welcome amenity on arrival and turndown service with exotic scented sleep oils at night. 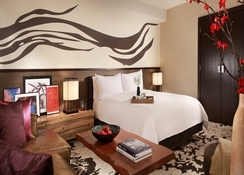 Guests will also receive priority Nobu Restaurant reservations and a wide range of VIP access and amenities. Nobu spa treatments are available in-room or by visiting Qua Baths & Spa at Caesars Palace. This is a non-smoking room. 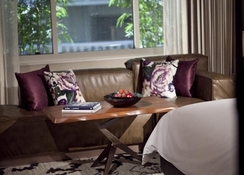 Located in The Strip, this luxury hotel is within a 15-minute walk of The Linq and Fashion Show Mall. Las Vegas Convention Center and University of Nevada-Las Vegas are also within 3 mi (5 km).